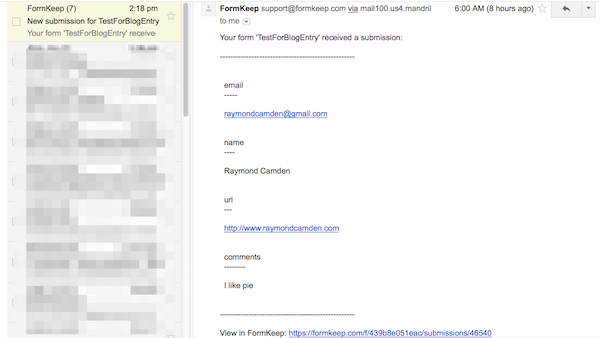 As you can see, you are given a form tag and one hidden form field. That's it. There are some suggestions for other fields, but at minimum, you just need those two. Now - to be clear - there is not a "form builder" here. After you copy and paste those two fields you will then need to build the rest of the form yourself. There is also no form checking built into the service. You would handle it client-side. If the end user disables that (and we all know end users can do that, right?) 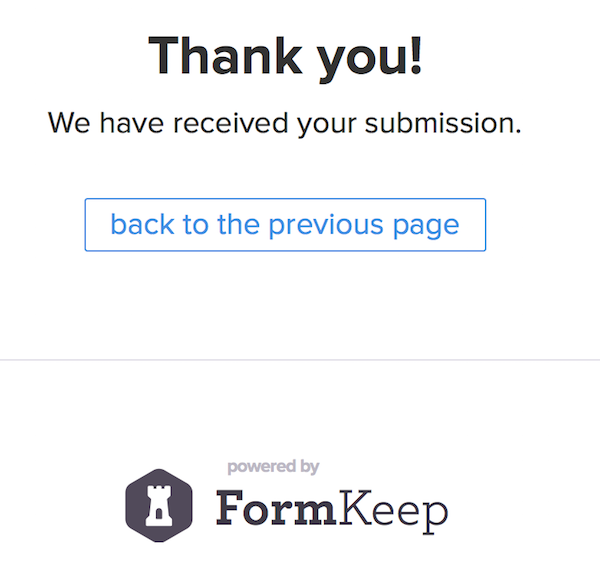 then FormKeep won't be able to prevent invalid submissions. But you can also easily input a return URL. Since their server simply outputs the URL to the browser to handle, you can use localhost as a test or a domain that resolves to 127.0.0.1 while you test. As an example, I used this: http://localhost/testingzone/trash/test2.html?done=1. That's the URL for my local server and the file I was using to test. Now let's look at the code I used. To be clear - just sending an email is actually just the simplest thing you can do. 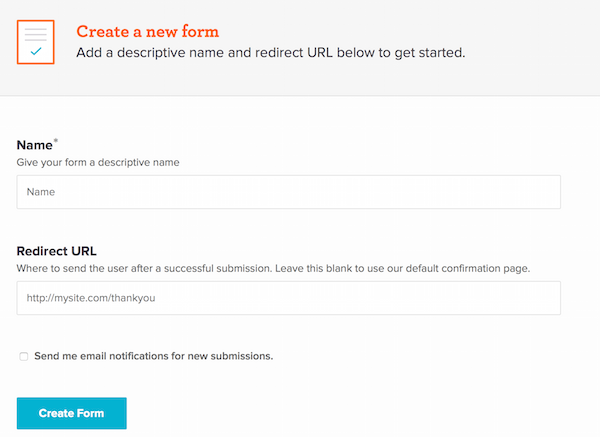 You can use a webhook URL to send form data to - well - anything really. That includes things like Salesforce, Campaign Monitor, etc. Email is just the default. 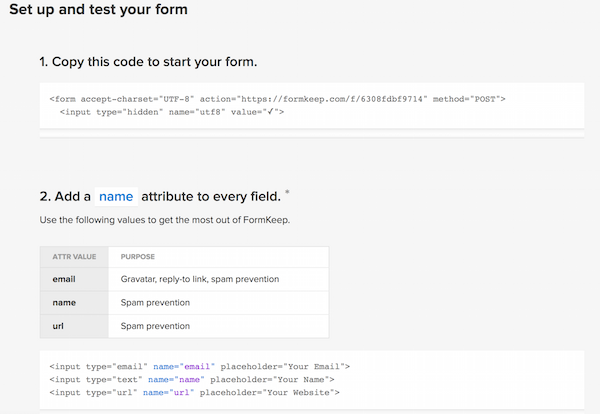 If you can find a service that lets you ping data to it via a URL, you can set up FormKeep to hit it with your form data. Finally, there are two export options as well. 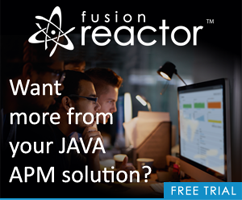 You can dump everything out to CSV or to JSON via their "API." I put API in quotes there because right now the API is just "dump the whole thing to JSON", but I'm assuming we'll see more in the future. At minimum it will need to accept date filters. Payment is kind of interesting. You basically pay what you want and get unlimited usage. Free usage will limit your dashboard view of data to the last ten entries, but that's certainly enough for testing. "Near Free" for personal users sounds like a pretty good deal to me. So, check it out and let me know what you think in the comments below.